When there's a polar vortex predicted, or the electric goes off, or you just want to know what's going on back home in New Jersey when you're on vacation—where do you go? If you're like over 217,000 people you grab your smartphone and log on to Jersey Shore Hurricane News (JSHN) on Facebook or Twitter for the latest news. JSHN is the brainchild of Justin Auciello, an urban planner by trade and life-long resident of South Seaside Park who grew up loving the ocean, beach and surfing. But, that wasn't the only thing he loved. When he heard fire alarms go off, he'd hop on his bike and chase fire trucks because Justin said, "I always wanted to be in the know," sharing information with others in his community. Justin Auciello was recognized with a Champions of Change award from the White House. Turns out the digital revolution came along just in time for Justin to catch that BIG wave, too. His early experiences shaped the JSHN concept and shortly prior to Hurricane Irene in 2011, he decided to wield the power of social media and created a real-time news, traffic and weather platform. Justin is filling a highly needed news gap with JSHN: local, on-the ground reporting and community engagement through a "two-way" news distribution ecosystem. Citizens can report the news that's happening around them, and he provides the "official information from the top," Justin says, "It worked out well, people were so happy during Irene to get news in real-time." While Irene didn't turn into the storm of the century, the reporting experience was a dry run for Hurricane Sandy. In 2012 when Hurricane Sandy hit, Justin began getting emergency messages on JSHN about people who needed assistance. Turns out the Office of Emergency Management (OEM) was also following the news platform and began communicating with people who needed to be rescued. In the days and months after the storm it became obvious that the news platform provided crucial information during the crisis and Justin was recognized by the White House as a Champion of Change. Why does Justin do it? Watch the film and learn how this dynamic citizen successfully manages news, weather and traffic reports through varied social media platforms. We all know people who are hard-core doers, and the next model citizen, Rosemary Ryan, a life-long Highlands, New Jersey resident profiled this month for the Engaging People Series delivers in spades. She's been elected Board of Education President, is an Environmental Commission member, and also sits on the Hope for Highlands Commission, a group of like-minded citizens and business owners who are raising funds to help residents rebuild their lives after Hurricane Sandy. In 2013 Rosemary was encouraged to run for public office, and although she overcomes all obstacles in her way—including a bout with cancer in 2012, politics can sometimes seem like a daunting task. The Engaging People Series continues this month with political social change activist, Bonnie Kerness. Bonnie has been fighting injustice and trying to even the playing field for people of color for over 50 years. I was first introduced to Bonnie's work about five years ago when a young Monmouth University student couldn't stop talking about her and the American Friends Service Committee's Prison Watch Project. I am amazed at how passionate and tirelessly she works to help put an end to solitary confinement, torture and the prison system as we know it. Outspoken and often radical, Bonnie learned from the best in Tenessee at the Highlander School during the civil rights era where Dr. Martin Luther King and Rosa Parks also learned civil rights strategies and labor organizing. Bonnie has made an impact on the most difficult issues; helping other like-minded activists who found themselves in prison due to the color of their skin and political beliefs, "My generation of activists often found themselves in United States prisons and it was a generation that was forced into a kind of political consciousness when we were very young," she says. 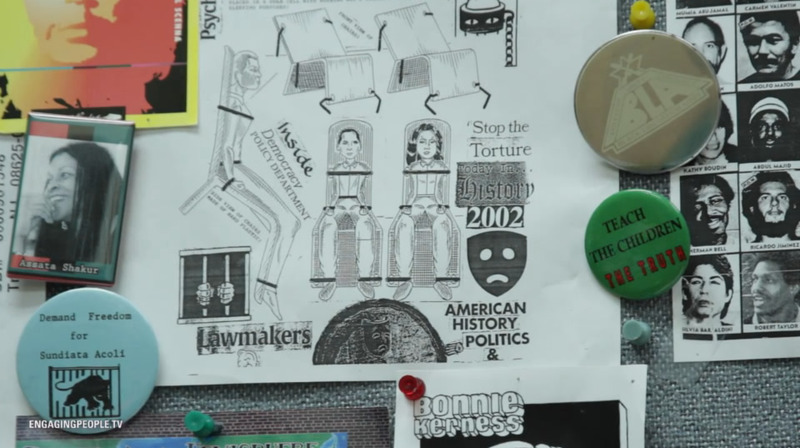 An expert on prison torture, Bonnie does the work few want to think or talk about, "I believe the prison system was born out of slavery and gave way to what we have today which is completely racially determined." Although she works with people of all ages, it's the youth stories that touches her to the core. Bonnie listens and documents the stories of people in prison and when she finds inequality, lies, indifference and intolerance she confronts them head-on, fighting injustice where and when she sees it—speaking truth to power. Bonnie is a keen reminder that these are American problems, and as citizens we are responsible for solving them no matter how complex or unpleasant they seem. "I made myself a promise and I decided to keep that promise, whether or not I had children, whether or not I had to do food shopping, no matter what else, that was a focus," Bonnie told me. She also passes on her knowledge and support to others interested in being active and engaged in solving social justice issues. If a majority of Americans could have only 25% of Bonnie's commitment to make change, in whatever area they felt needed it—I believe we would have a more just and fair society. Next up in the series: Will Condry known to most as "Kasso" has lived his entire life in Trenton, NJ. Growing up on Martin Luther King Boulevard, Kasso says, "I've seen what the inner city can do to people—a lot of friends I grew up with are either dead, in jail or just kind of lost." As a father, he wants to see his daughter and his friend's children have a better life, "You know it doesn't have to be like this." Kasso uses what he knows—his art—to change the face and feeling of the community by painting positive representations of people who live there. Learning from the nation's largest public mural arts program in Philadelphia, he became tired of looking at the eye sores and decided to paint over them. The first mural he created was on a surrounding wall of a now long-gone factory where with friend, James Luv-1 they painted children and Dr. Seuss imagery. Will says, "If art hadn't been in my life as a kid, I don't know what I would be doing, it could do the same thing for another kid. They just need to have an opportunity. Everybody doesn't play basketball or sports, you've got creative people who don't have an outlet and if it's not catered to they're going to wind up doing something destructive." Their first mural helped establish a relationship with a local town official and slowly an arts community grew. People from all over New Jersey and even further come out to support urban renewal events through S.A.G.E. Coalition's beautification program, which until recently was self-funded by the artist coalition. S.A.G.E. 's diverse artists develop events, gallery showings, youth programming, and a community garden on 219 East Hanover Street and the surrounding neighborhood. Both local residents and Trenton outsiders decide and participate in mural and gallery events as well as "Gandhi Garden" work, which began cultivation as an MLK Day of Service earlier this year. Now throughout the summer on Monday nights they also have garden meetings and a pot luck dinner. It takes hard work for citizens to organize a fight against drugs, gangs, guns, and violence in an inner-city community. Kasso and S.A.G.E. 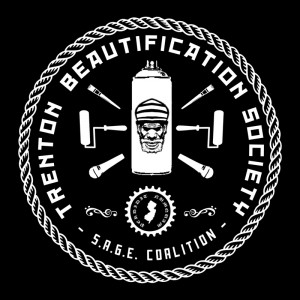 Coalition are making strides for positive change in Trenton. But, Kasso feels strongly about seeing that residents also become more economically empowered, which has been a positive addition to their work. S.A.G.E collaborates with local nonprofits, business owners and elected officials—all helping to build-up civic fabric in their community. More importantly, with small steps they're spreading hope in some tough neighborhoods in Trenton. Watch the video to hear how Kasso and the S.A.G.E. Coalition have actively engaged the community. Next up in the Series: Circus Maximus flew from Seattle with his partner Karissa to help out in NJ after Hurricane Sandy. Using skills that he already had as a caterer, he decided to create The U-HUNGRY Cafe to mobilize and distribute food to shore towns without electricity and whose cars had been totaled by the storm. Along the way he found a crew of like-minded volunteers who got a quick lesson on how to do catering from the back of a U-Haul truck. They listened to people's stories and helped bring some levity and humor to the situation. Circus started a pay-it-forward solidarity approach and eventually handed-off the reins and returned home to Seattle. The U-HUNGRY Too Cafe volunteers continued providing aid, now in Oklahoma. They share common values and beliefs, "We are one human community and family with a responsibility to care for each other." Would You Lobby at the New Jersey State House? A diverse group representing over 40 organizations including progressive advocates, health care providers, labor, and women’s organizations came together in support of issues that affect women and families. 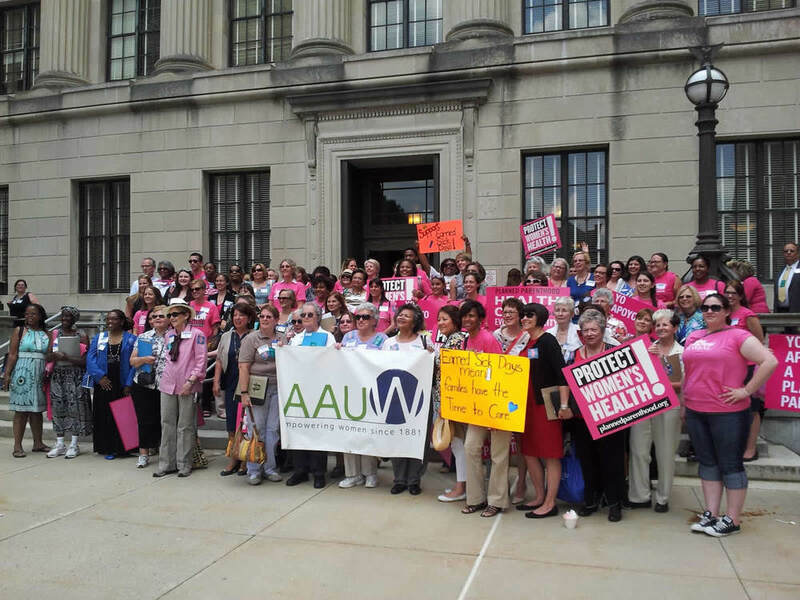 Did you know that Thursday, June 20th, a group of women from across the state came together in Trenton to lobby about women's issues? Members of New Jersey's women's organizations including advocates, health care providers and labor in support of issues that affect women and families. They came together to ensure women’s equality in New Jersey by strengthening women’s economic opportunities so that they can support themselves and their families and contribute to their communities. "By coming together, our groups and women all across NJ can ensure that our concerns get the attention they deserve from Trenton", said Kerry Butch, Executive Director of the League of Women Voters of New Jersey. • Women in New Jersey earn, on average, 77 percent of what men earn, and that wage gap is even more severe for African-American and Latino women who earn percent 68 and 59 percent of that earned by non-Latino men, respectively. • 30,000 fewer patients are receiving basic preventative health care at family planning providers. Patients have lost access to birth control, cancer screenings and basic gynecological care. Others experienced longer wait times for appointments or had to pay more out of pocket. • In New Jersey, 1.2 million private sector employees lack paid sick days, including 72% of childcare workers and 76% of food service workers. Nationally, nearly 4 in 10 working women do not have access to paid sick days. The Women’s Lobby Day promoted pay equity, funding for reproductive health, and earned sick and safe days. Recently, the New York City Council approved a Bill that requires businesses to offer paid time off for sick employees. Despite the Equal Pay Act and many improvements in women’s economic status over the past 50 years, wage discrimination still persists and is attributable in part to the Equal Pay Act’s limited scope. The women's groups support two bills; The NJ Unfair Wage Recovery Act (A4124) and The NJ Wage Transparency Act (A4044). The bills look to acknowledge pay discrimination and call for greater pay transparency. “We gather today to let our elected officials know that the struggle to balance work and family for working mothers is made more difficult because of the lack of earned sick days. Implementation of an earned sick day policy means that more mothers won’t have to choose between their or a family member’s health or their paycheck when illness strikes,” says Phyllis Salowe-Kaye, Executive Director of NJ Citizen Action. I've had my share of rallies and lobbying at the New Jersey State House, which in my opinion is as important of a civic responsibility as voting and jury duty, especially if you want to get the ear of legislators. But, when I watched the Women's Lobby Day on New Jersey Today with Mike Schneider, the message seemed more about Senator Barbara Buono and her race against Governor Christie in this fall's election. I found this disconcerting because it's difficult to discern whether the rally took place to support the Senator or to truly help move these important women's issues forward. The fact that women make 77% of what men earn, and even less for New Jersey's African-American and Latino families is appalling. Fortunately, both bills passed through the Assembly. If you want to follow the bills go to the New Jersey State Legislature website. What do you think about pay inequality and the glass ceiling for women in New Jersey and what could we collectively do to change it? Some of the organizations that supported Women's Lobby Day 2013: Family Planning Association of NJ, League of Women Voters of NJ, New Jersey Citizen Action, Planned Parenthood Action Fund of NJ, Alpha Kappa Alpha Sorority, Inc., Business & Professional Women of NJ, Monmouth Democratic Women's Caucus, National Association of Social Workers - NJ Chapter, New Jersey Chapter of the Sierra Club, New Jersey Federation of Democratic Women, New Jersey State AFL-CIO, New Jersey Time to Care Coalition, New Jersey Working Families Alliance and NJ Policy Perspective, and more. For more information go to New Jersey Time to Care and New Jersey Citizen Action. Is the Jersey Shore Really Open for Business? With the opening of the Jersey shore for Memorial Day, the traditional start of summer, President Obama made a visit to New Jersey, specifically Seaside Heights, which was hard hit by Hurricane Sandy at the end of October last year. President Obama and Governor Christie also made a campaign-like stop in Asbury Park, which incurred less damage from the storm. People were crammed by the Asbury Convention Center on a rainy day to get a glimpse of the President. The message was clear—the Jersey shore made a miraculous recovery and is open for business. Of course it makes perfect political and economic sense that the President came to support the state and the Governor is touting how much has been rebuilt—encouraging tourists to visit the New Jersey shore just as they always have. Except things are not as they have always been, as I found this weekend when I went to buy a few things at Bains Hardware in Sea Bright. The concerning aspect of the recent media coverage, although it was a great photo and public relations opportunity, is that there's been a lack of stories to counterbalance that 'everything's just fine' coverage. The main street through Sea Bright still shows boarded up businesses with a few opened restaurants scattered in between. Clearly in towns nearby Seaside and Asbury Park in Lavalette, Mantoloking, Brick Township, Sea Bright and Highlands things are not so rosy. It's disturbing that there's not companion news coverage with citizens or business owners who can tell an alternative story that highlights how rebuilding and recovery after a wicked storm like Hurricane Sandy takes longer than six months. If the news is going to be objective then they should cover those stories as well and find a way to have real voices provide the narrative of what's really happening in these shore communities. Bains Hardware was the first business to reopen in Sea Bright, and stands as an anchor of encouragement for other businesses. I live at the shore and although I wasn't directly affected, it's quite clear to me that the New Jersey shore is not ready for prime time. I wish it was, but it's not. It would be more effective if the news did its job and told things like they are and cover stories of towns like Sea Bright who through Sea Bright Rising fundraisers helps to illustrate strong models for public/private partnerships, or a grassroots group like Occupy Sandy who have been on the ground since day one of the Hurricane providing free food and volunteers, or citizens in Highlands who are rebuilding their town together. If we're trying to promote New Jersey for tourism the state developed a strong ad campaign called DO/AC for Atlantic City where the hurricane caused minimal damage. I want to support the state too, so in a few weeks I will be spending a mini girls trip, and in my opinion that's a preferable way to bring people and their pocketbooks to the shore. But, there are other ways too. We should encourage and support each other so that we can continue to highlight rebuilding and recovery issues and come together to help solve them locally. Citizens need to be properly informed and find ways to get involved to help bring homes and businesses back as quickly as possible. When you go to the primaries today to vote, think about your local officials and whether they are helping citizens to come together to develop a plan for recovery and sustainability. We've been told enough times and seen the wicked weather of late—Oklahoma tornadoes, the Mississippi levee breach and hurricanes that are coming every few years on the east coast. There needs to be a constant public dialogue that's honest and real. Citizens need sustenance to tackle the hard and messy issues for agreement about what works and what doesn't work in our respective communities. It can't wait any longer. What have you seen happening with recovery in your communities? What problems, ideas and solutions would help bring citizens together, help businesses reestablish their shore brands, enlist local officials to harvest dialogue and keep people coming to our weather-worn towns to volunteer and spend valuable vacation time and money? Larry Swetman, a volunteer for Occupy Sandy crafted a grassroots video that talks with a citizen who paints a different picture of the NJ shore as we head into summer. A few weeks ago I watched Bill Maher's Real Time, as I often do. In fact, I enjoy his show and clever wit. But, a short video produced by Alexandra Pelosi (daughter of Nancy Pelosi) was aired on the show in which she interviewed Republicans in Union Beach, NJ. She asked people what government programs they thought should be cut to decrease the national deficit. Having met some of the nicest people when I was documenting the devastation that Hurricane Sandy left behind, I was utterly dismayed at the tone of Maher's and Pelosi's version of "the voices" of Union Beach. I continue to find that we are missing the boat on an important conversation, both in the media and among friends and colleagues. And it doesn't have any foundation in poking fun or being disrespectful of citizens, regardless of their party affiliations. On the same day that Pelosi's video ran, President Obama told an audience of students in Israel that social change doesn't happen without citizen participation, and placing pressure on politicians. So why isn't this message loud, clear and central to conversation and debate about our democracy? We are doing a disservice to each other. Pelosi's video misses the point altogether, yet still illustrates that politically we aren't as far from each other in beliefs and values as pundits would like us to believe. As citizens we need to come together and build consensus on how to fix our broken democracy and political system. An obvious gap is the fact that no one TALKS about the solutions needed to come together. Maher, Pelosi and others prefer to make jokes than be of practical help. As citizens we need to take responsibility for our own part in the problem and step-up to fix it, instead of complaining, joking around or, simply being apathetic. This is why I've been developing a web series about role-model citizens who are building up our civic fabric, instead of continuing to tear it apart. The Engaging People Series shows people who are concerned about problems in their communities and society as a whole, but actively work toward positive change. Union Beach, NJ and nearby towns are the key to valuable stories of citizens who come together to help each other, especially after Hurricane Sandy. If solidarity works in the aftermath of a natural hardship, then we certainly have the power to work out citizen-driven problems with citizen-driven solutions every day of the year. We need positive representations of people doing good in our society so that we can see there are people who are understanding, empathetic and tolerant so trust can build. When we are able to actually feel what it's like to walk in someone else's shoes then we can begin to find ways to meaningfully derail political grid-lock and corruption. Come back each month and see what's new with the Engaging People web series and watch citizens making a difference—providing hope for a better future in communities—through volunteerism, service or political activities. As much as I like comedy, let's stop poking fun at one another's expense and find our commonalities as many at the Jersey Shore have found to be the most positive aspect in life after Hurricane Sandy.